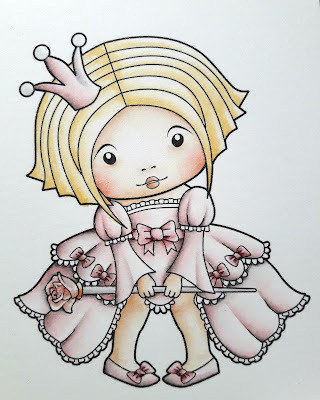 It's me Barbara with you today. 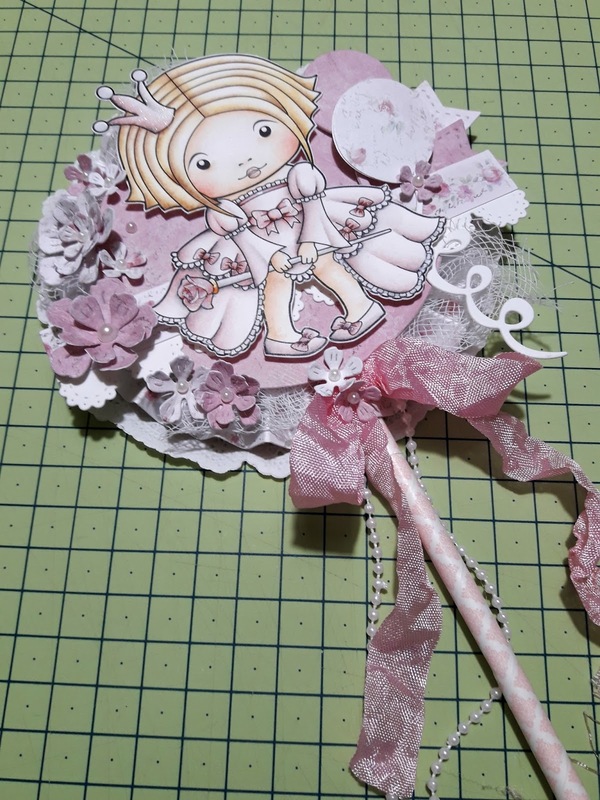 Time ago I made a lollipop card. 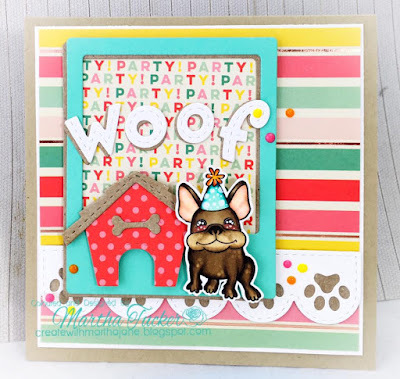 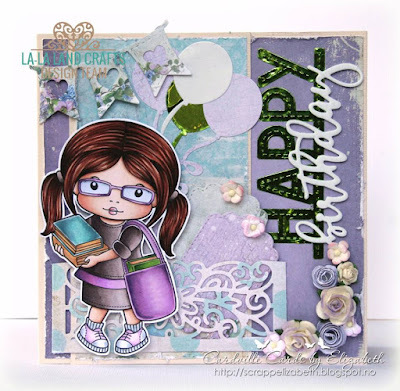 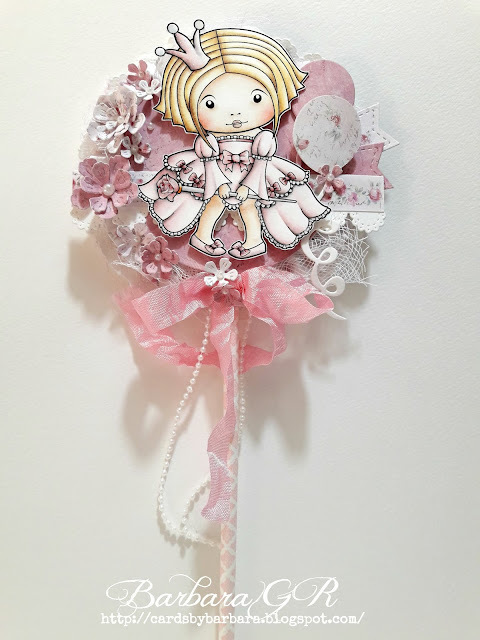 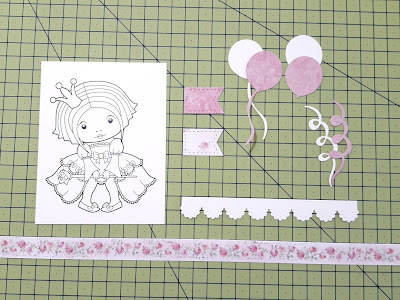 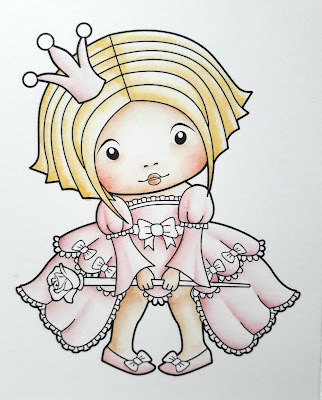 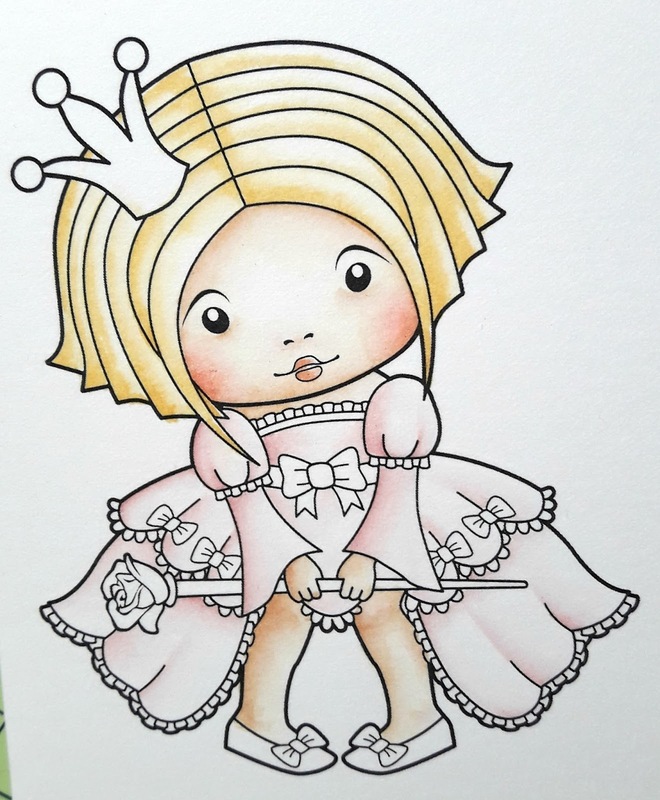 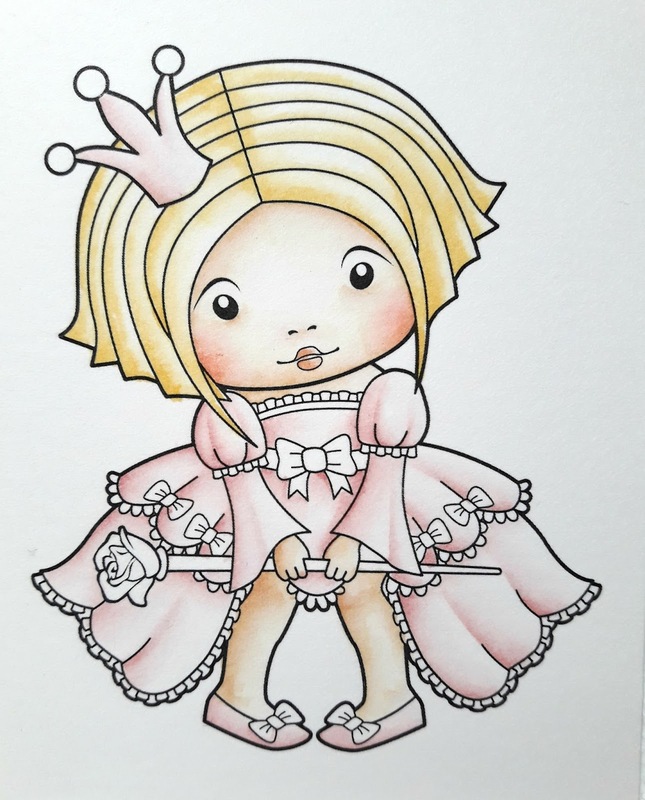 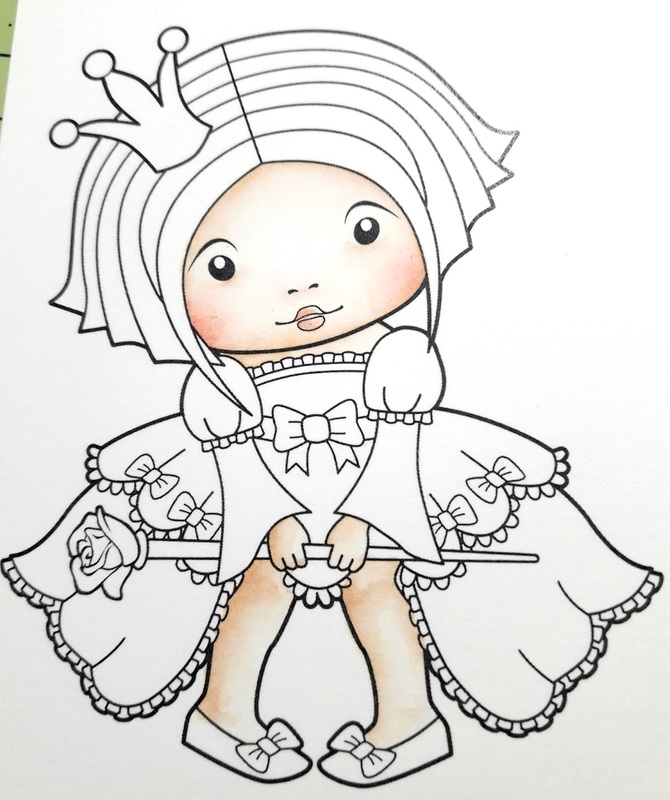 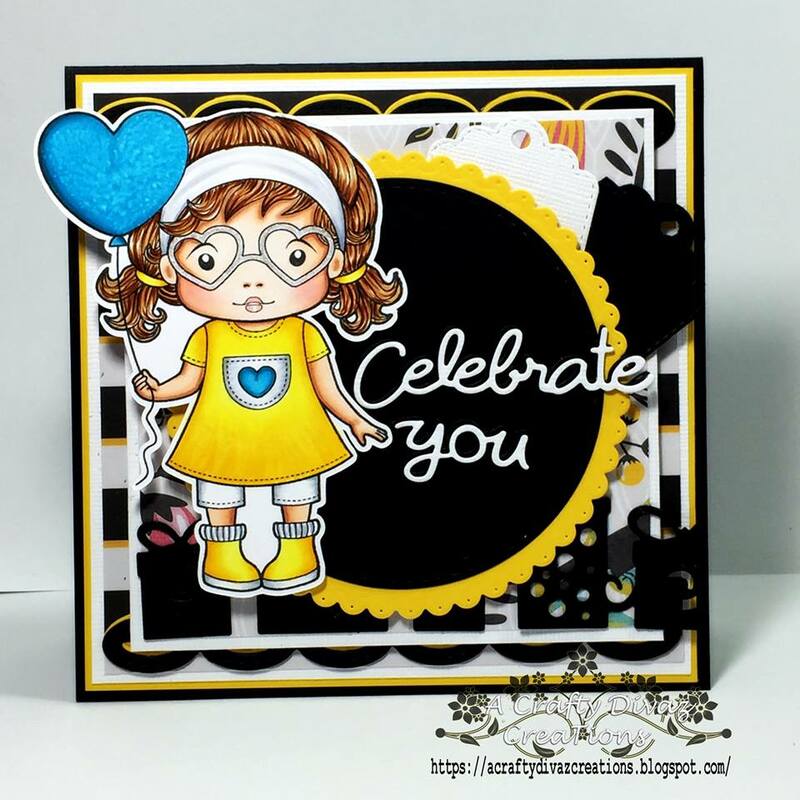 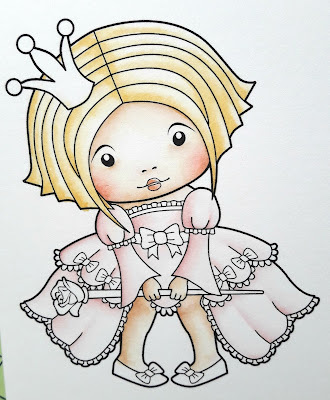 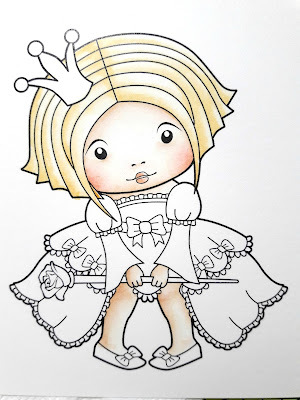 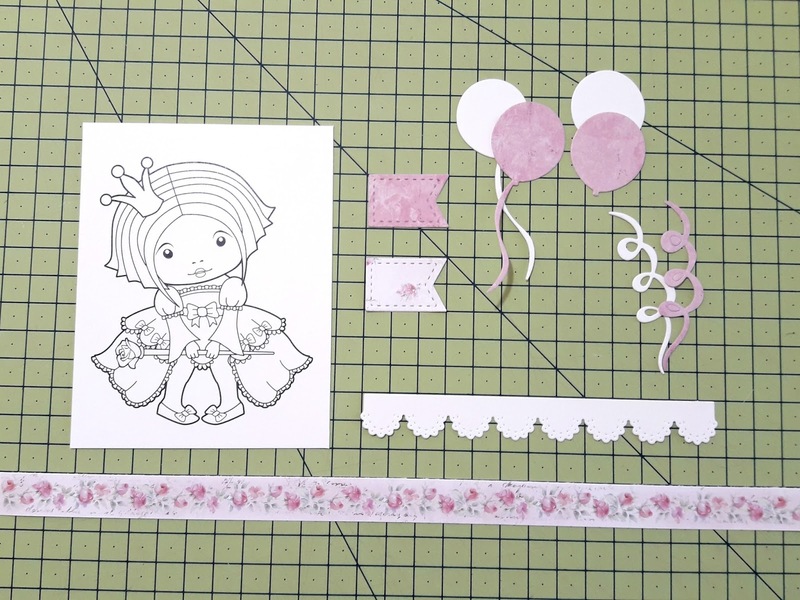 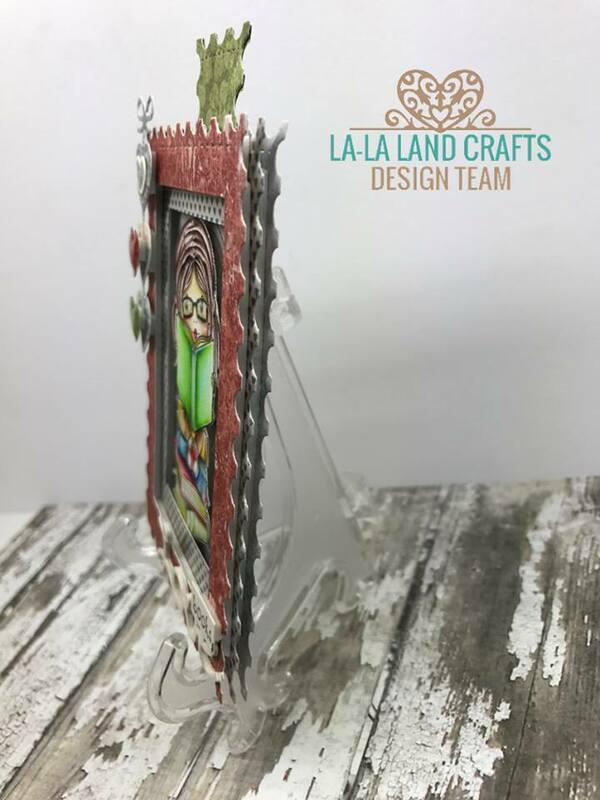 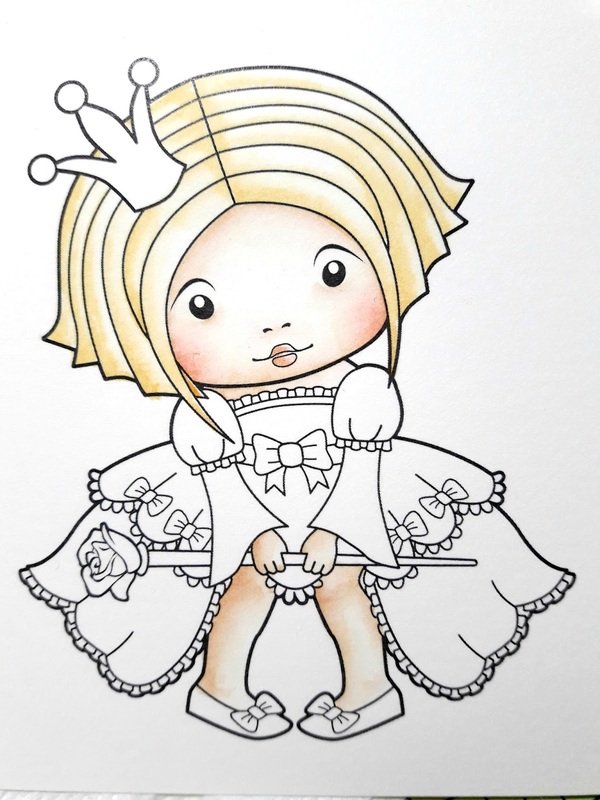 A lovely lady ask me for a tutorial... soo today I'm sharing with you how I made my "Princess Lollipop card". 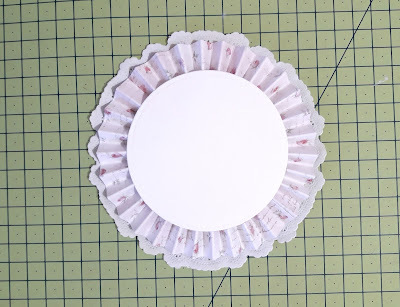 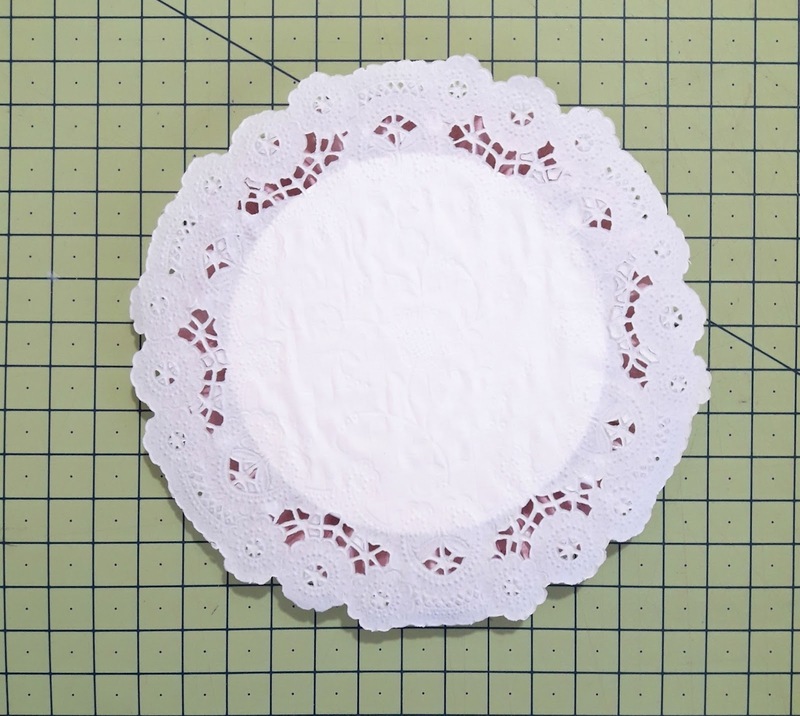 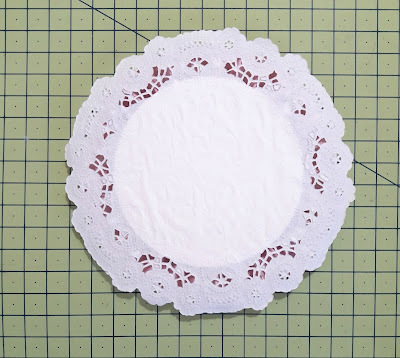 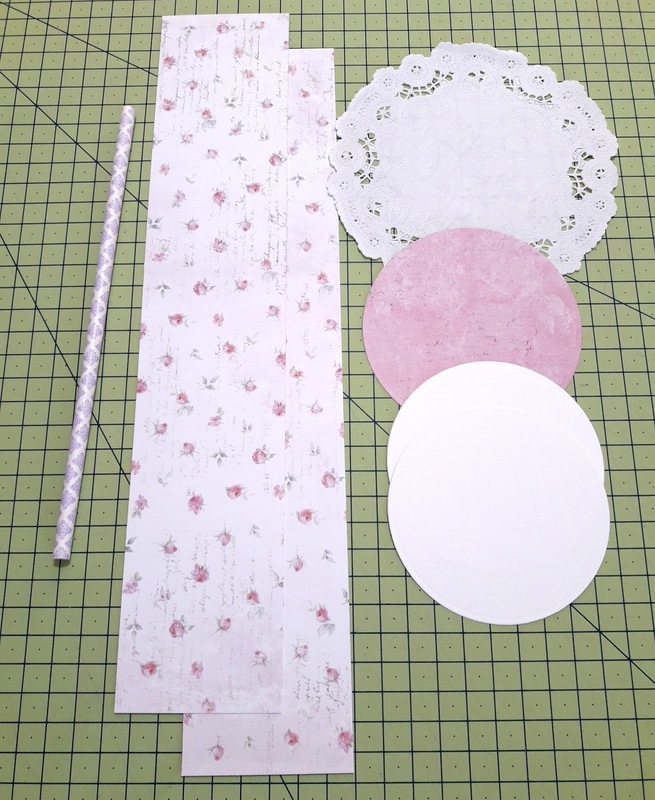 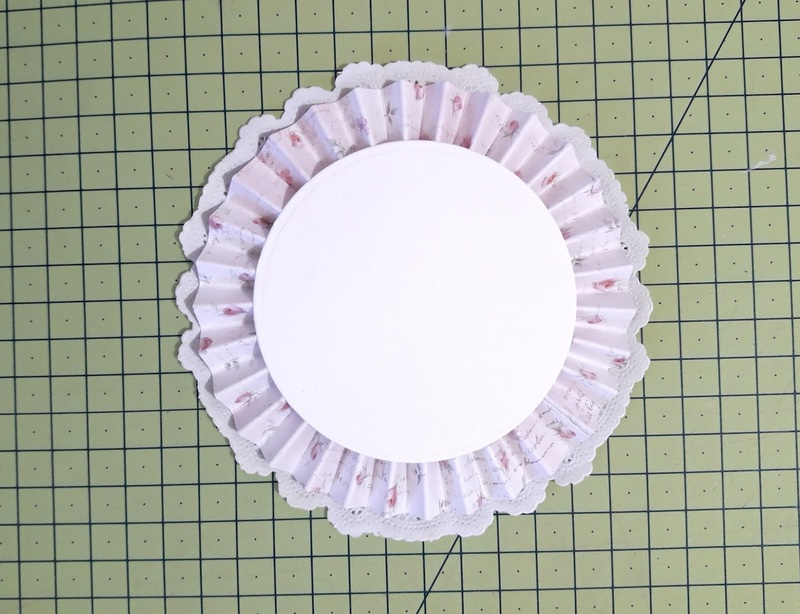 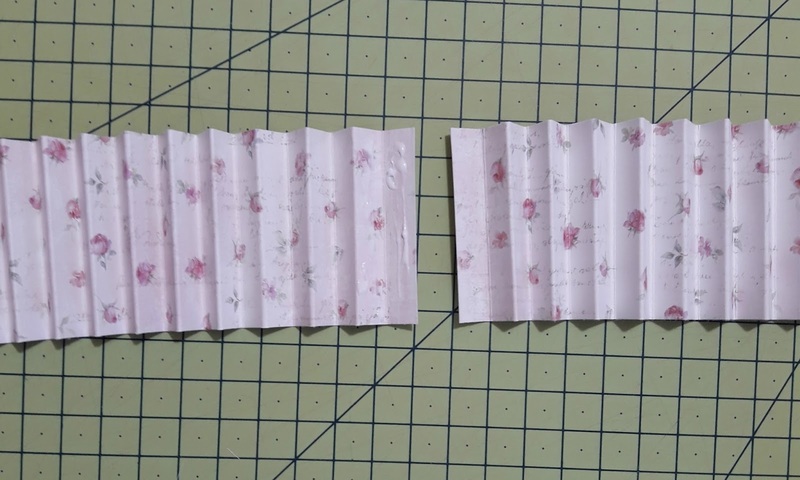 I start with cutting out two pieces of papers measuring 11 7/8" x 2 for making the main base of lollipop card, the rosette and 3 circles. 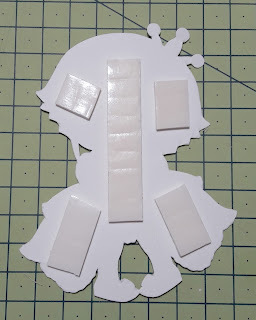 Two from hite cardstoc and one a little bit bigger for background. 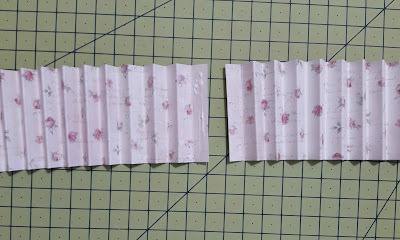 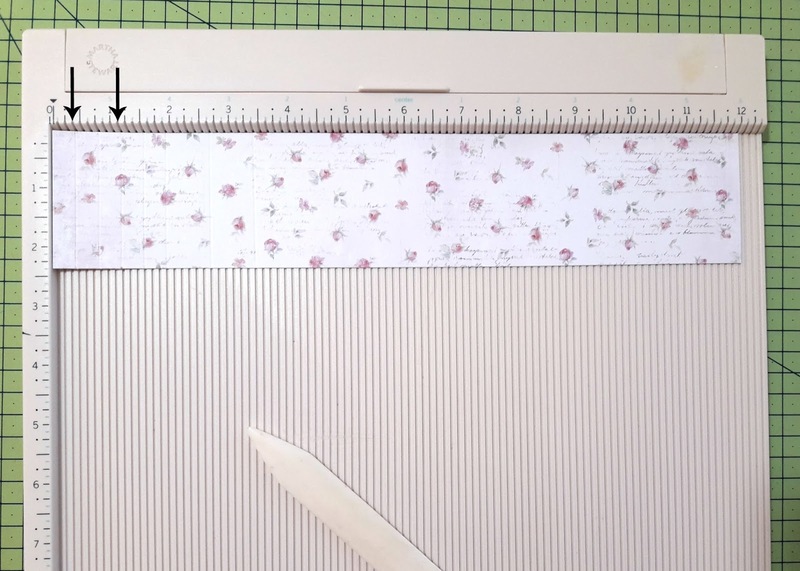 I fold papers using scoring board every 6/8", then I turn them around and score every 3/8". 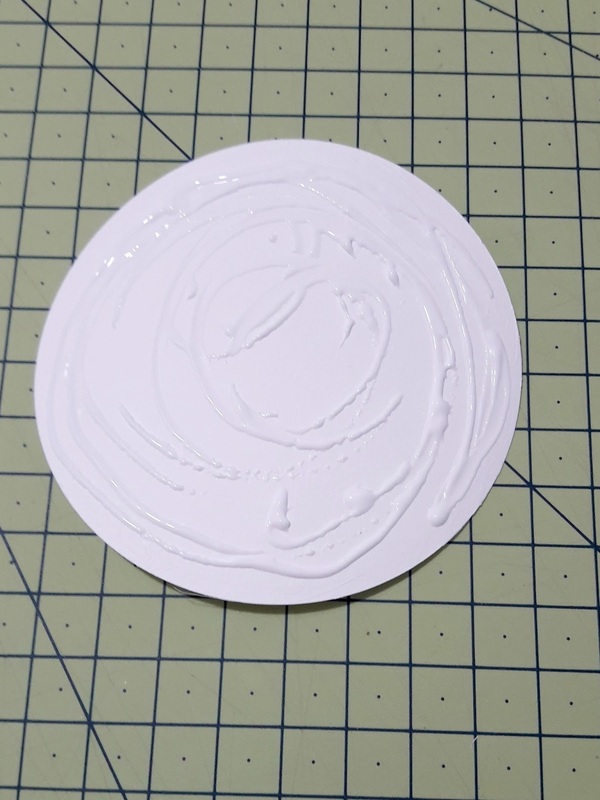 Glue two parts together on both sides. 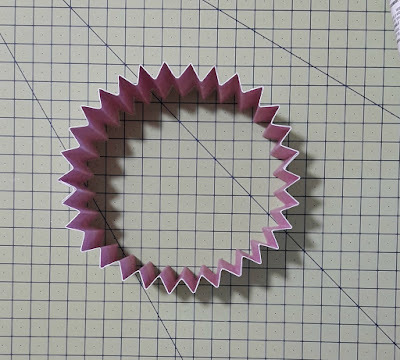 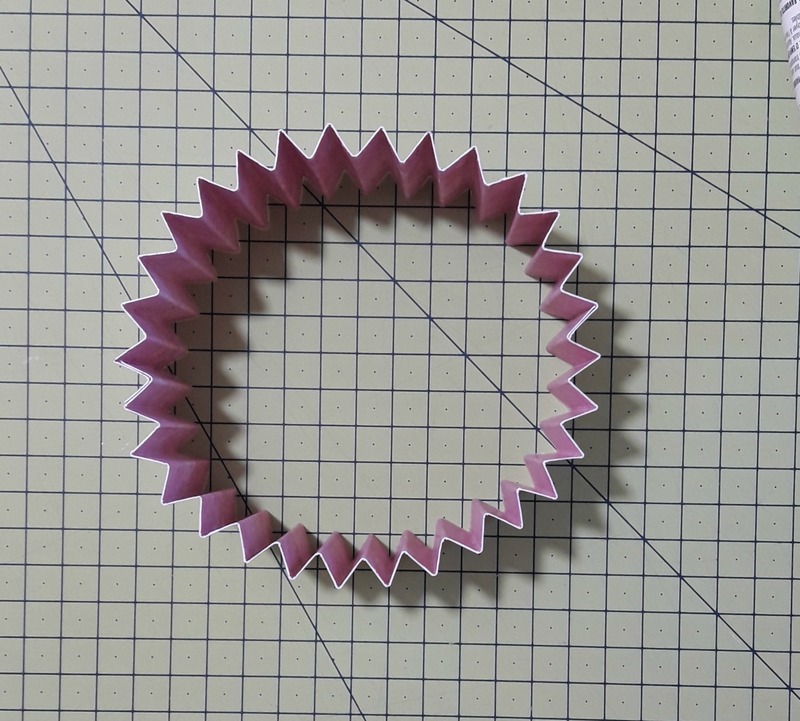 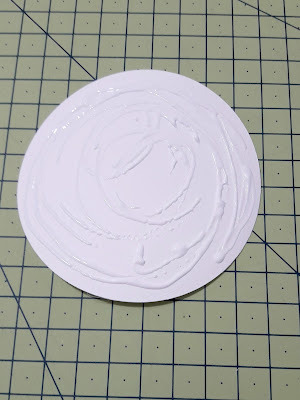 You glue the paper rosette on a piece of round paper.... use a lot of glue and wait for few minuts. 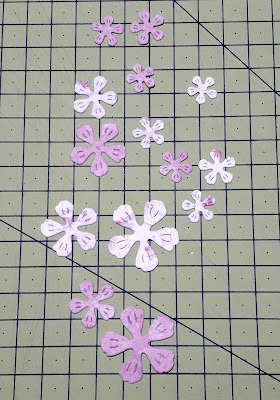 Cut out all your peaces using LLLC dies. 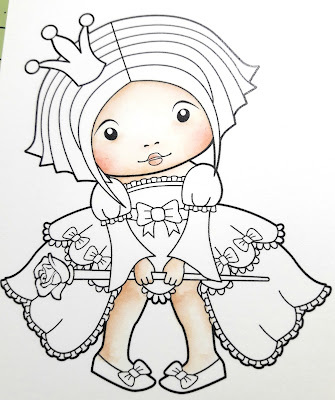 Colour and cut out the image. 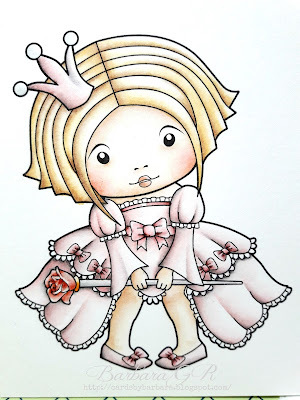 I used Sitting Princess Marci. 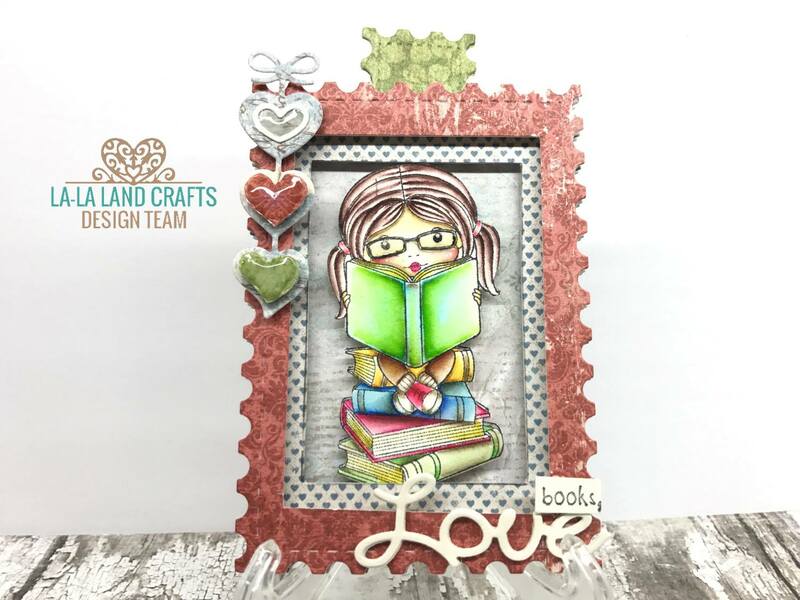 If you've missed a deadline for this month's Kit you can still sign up today to start your subscription with the June 2017 Kit! 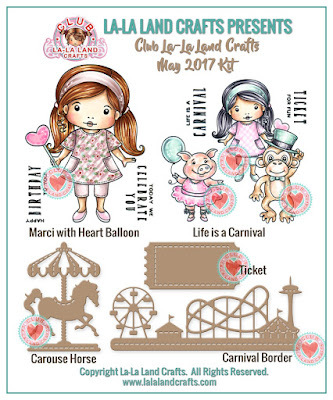 Sign up today to start your subscription with the June 2017 Kit! 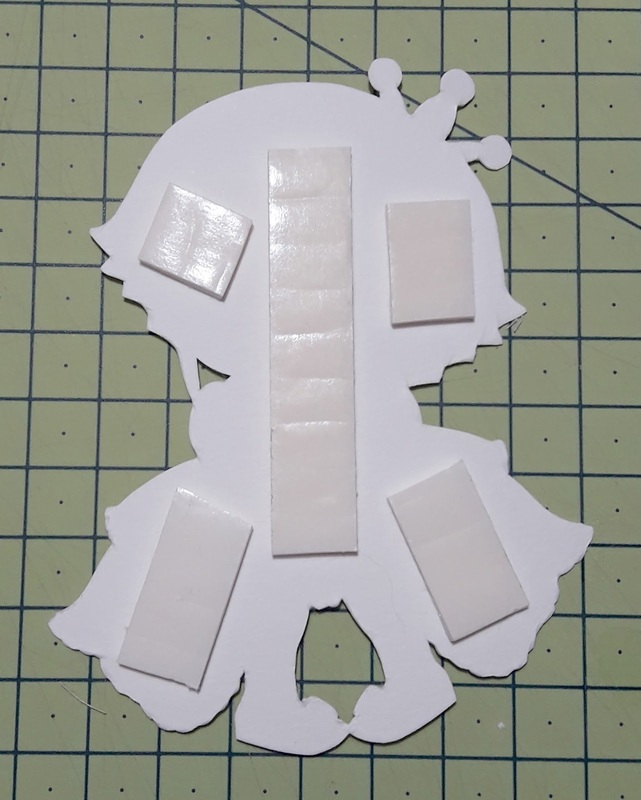 Time for some crafting, what do you think? 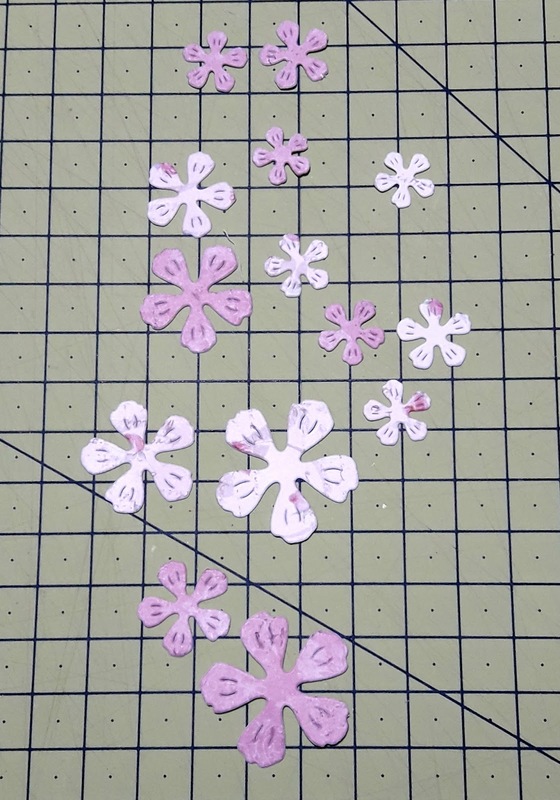 This week we have to Use 3 or More Dies. 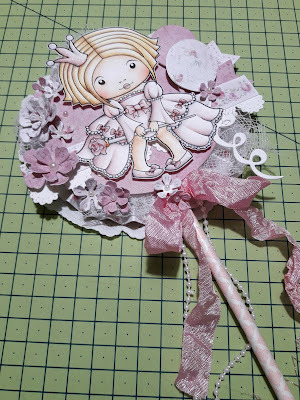 Please have a look what have prepared for you, our team Monday girls. 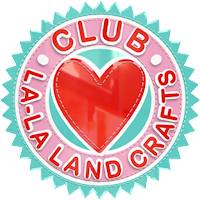 Hope you enjoyed our projects. 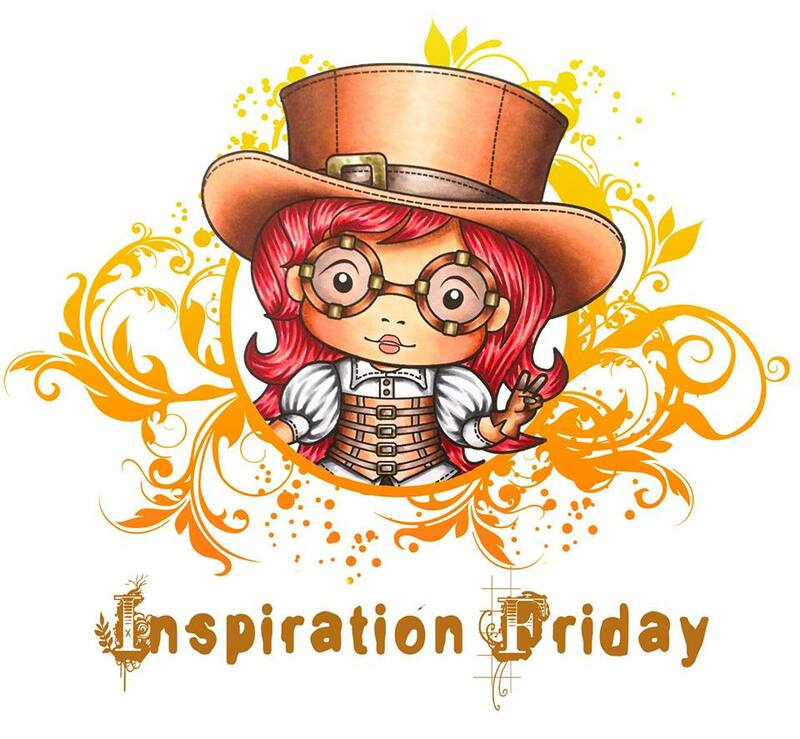 Hi and welcome to Friday's Inspirational post. 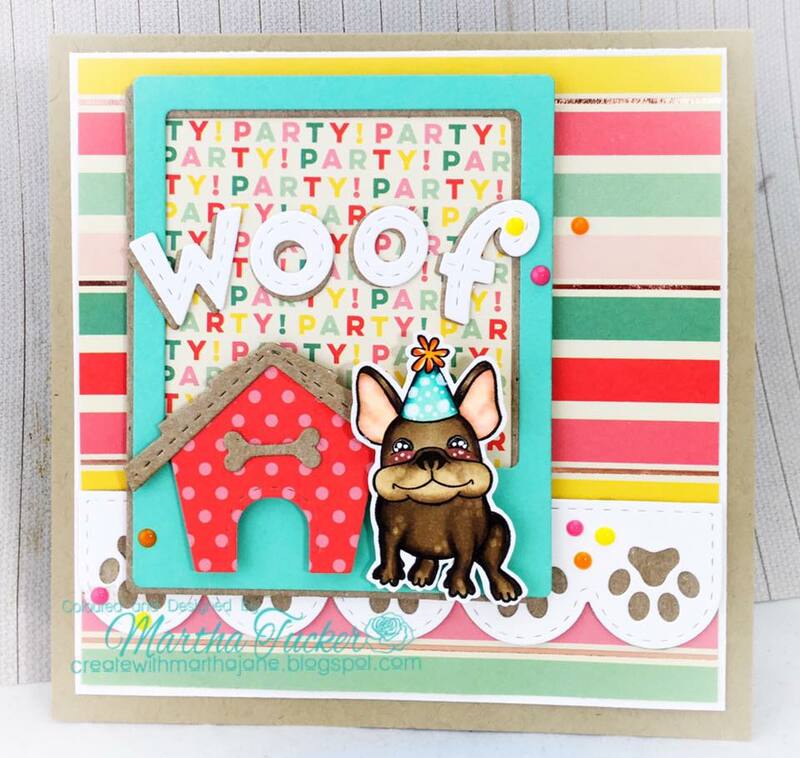 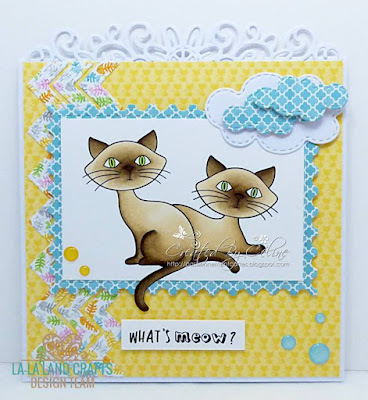 This week the theme of the challenge is to Add an animal. Let's see what Team Friday created to inspire you. 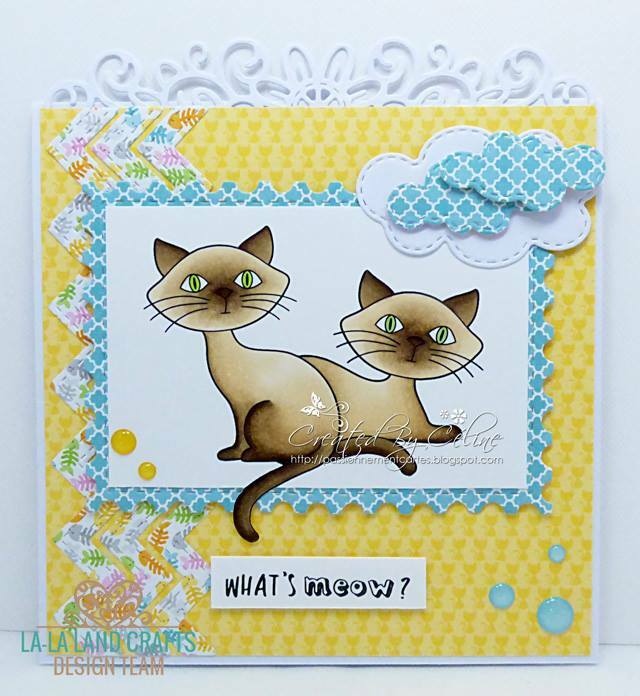 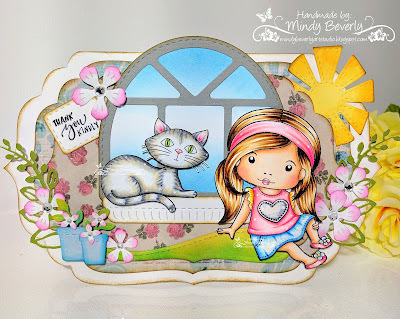 Dies: Spring Flourish, Stitched Zigzags, Stitched Sun and Clouds, Postage Stamps.